Phil got me thinking about my bike fit. In the last post I described the CONI method, which has limitations in that it is largely based on the dimensions of an average person. So, I downloaded the Kinovea software (Kinovea, 2013) as suggested, dusted off the old family camcorder and (hated) turbo-trainer, and made some dynamic measurements of me actually riding the Tricross. The result is shown in the video above; and what a great piece of software it is, with the facility to apply a 'bikefit' tool which overlays a skeleton to measure body angles. This being the beta version there are some glitches and it is necessary to stick pieces of white tape to your joints to help the software 'pin' the moving skeleton in place - this does not always work, as evidenced by the necessity to pin one point to the front axle and the points on the arms not being fixed. Nevertheless, it is still possible to make accurate measurements at any pojnt in the pedal stroke by taking snapshots. The advantage of making dynamic measurements (i.e. cycling rather than static) is that they are more representative of the actual angles when pedalling. 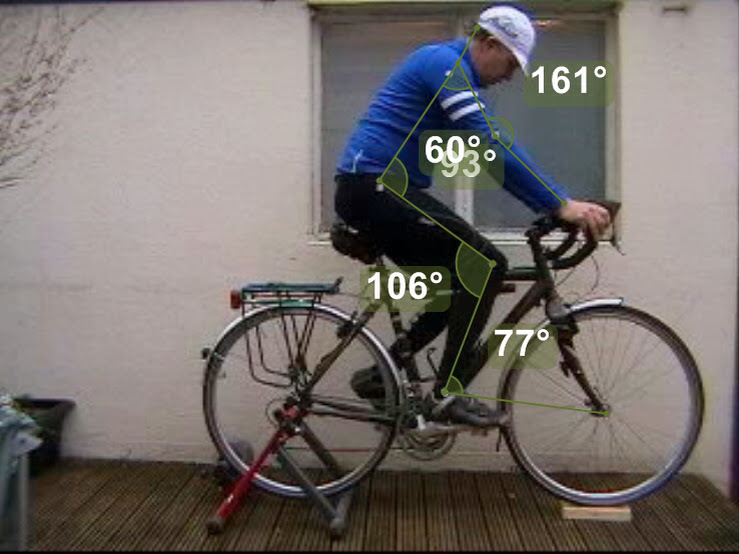 Saddle height should be adjusted so that knee angle is between a minimum of 65-70 degrees and a maximum of 143-148 degrees, with the caveat that people with tight hamstrings (generally men) might prefer a maximum angle of 138 degrees and women up to 150 degrees because they tend to have looser hams. 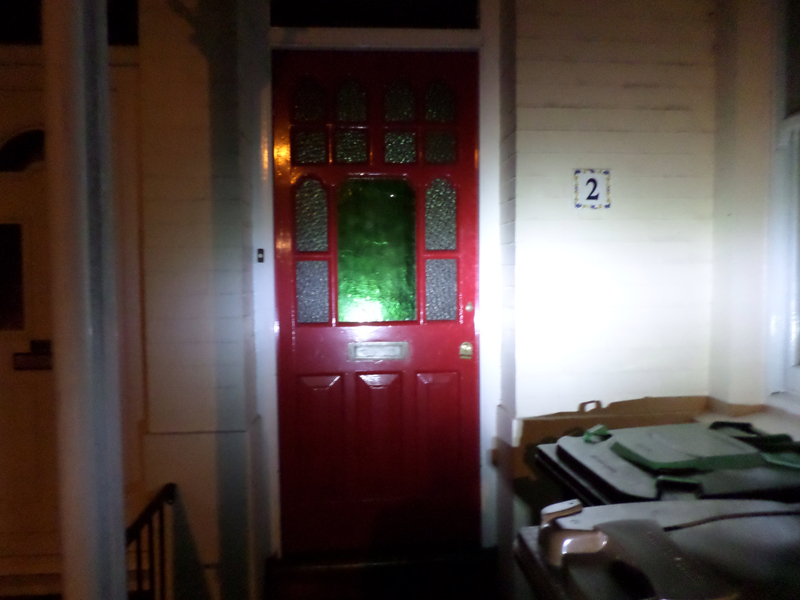 Snapshots taken of me at 12 and 6 o'clock below show that I am within these bounds. Saddle setback can initially be adjusted using the KOPS (knee over pedal spindle) method. BikeDynamic point out that there is no biomechanical reaon for this but it serves as a useful ballpark measurement to start. Analysis of my position on the Tricross seems to indicate that my knee joint is too far forward infront of the spindle. 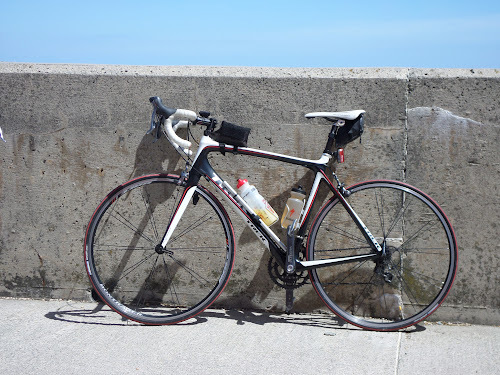 A slight forward position is not, of itself, a problem - it would be if the knee was behind the spindle - but it contributes to my forward position on the bike which feels cramped. The obvious solution is to set the saddle further back BUT there is no more travel on the rails of my Brooks B17 to enable this (note to Brooks to address this failing). Using a seat post with more set back might solve the problem, but since I am customising my own frame I might as well go the whole distance and decrease the ST angle to 72 degrees. With a ST design length of 53.5 cm this will have the effect of moving the saddle back by 1.3 cm and dropping it by 0.4 cm for the same ST length. This will also reduce the the minimum leg angle and increase the maximum leg angle slightly, but this can be dealt with by readjusting ST or crank length if necessary. Torso angle is another parameter which requires attention. 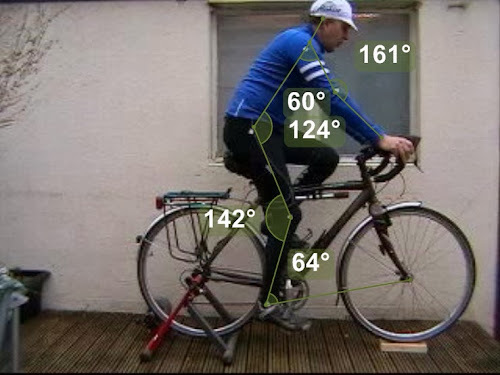 BikeDynamics recommends an angle of 45 deg for touring and 34 deg for sportive/racing (measured between torso and horizontal) As you can see, I have a very upright position with an angle of 57 deg (not shown on the picture). Moving the seat back will reduce this but I clearly have much room for adjustment - providing my not very flexible lower back can cope that is! Another consequence is that the torso-upper arm angle will increase from 60 deg closer to the 75-90 deg recommended range. In conclusion, reducing the ST angle will: move the seat back and bring my knee over the spindle; decrease my torso angle; increase my torso-arm angle; and move my centre of gravity back a bit, so taking weight off the bars. . . that's the logic. 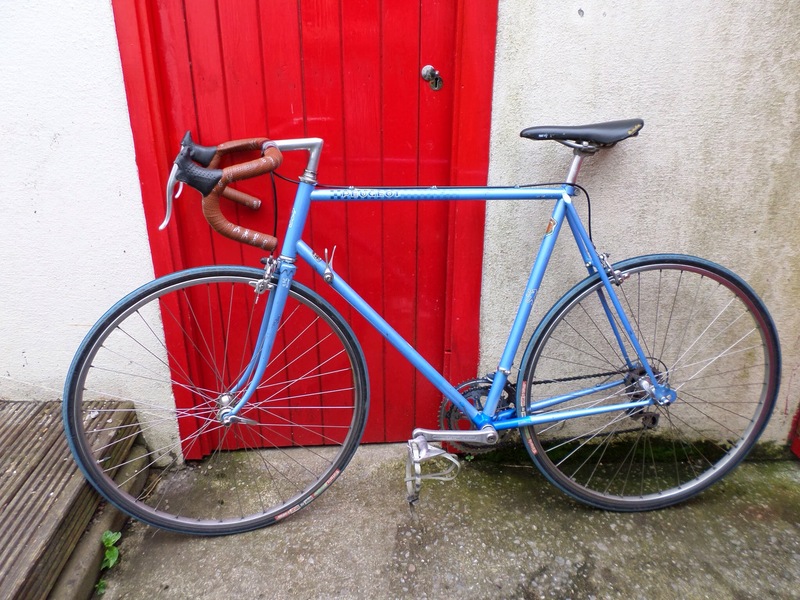 Plus some other fiddling around with stem length, bar position and saddle height of course. BikeDynamics (2013). Homepage. Available at http://bikedynamics.co.uk/index.html [accesed 19/11/2013]. Kinovea (2013). Experimental version 0.8.21. Available at http://www.kinovea.org/en/downloads/ [accessed 19/11/2013]. One of the major reasons for buliding a custom frame is so that it can be measured to fit. Commercially produced bikes are, understandably, produced for the 'average person', with the ST length being the de facto criterion used for sizing. In the past, when most bikes had horizontal top-tubes, this measurement was comparable between bikes, so standover height for the prospective buyer was a simple calculation. Now, however, with sloping TTs this measurement is practicaly meaningless so any realistic idea of fit usually requires a trip to the LBS to try out a prospective purchase. In reality, ST height is not the most important measurement; provided there is sufficient standover height, to ensure the safety of the family jewles in the event of an unexpected forward dismount, the ST length can be easily changed by changing the saddle height. More important is the TT length combined with the stem length, because this determines the reach, which has a major influence on upper body position and comfort. However, upper body measurements are not considered when selecting a bike unless you pay for a professional bike fit which might cost upward of £150. So what is the secret? There are several methods of bike fitting which have been used, mostly based on the Italian C.O.N.I. method (C.O.N.I., 1972). Many framebuilders developed their own methods based on this, or by combination of their own experience as cyclists and customer feedback. 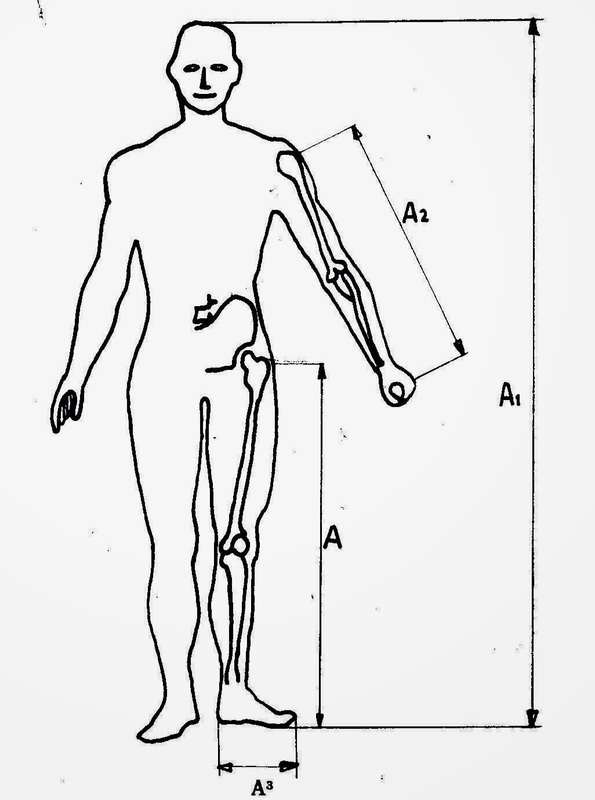 Take measurments of the inside leg, sternum, and arm length. Decide on the ST length based on this measurement. Use tables and/or various formulae to get an estimate for the TT and stem length. Measure one of your bikes that you already own and feel comfortable on, and compare to the measurements above. Decide on HT angle to suit the type of riding. Decide on ST angle to suit the type of riding and your physiology. Arrive at an optimal solution using the above data and experience based on riding thousands of miles under a variety of circumstances. 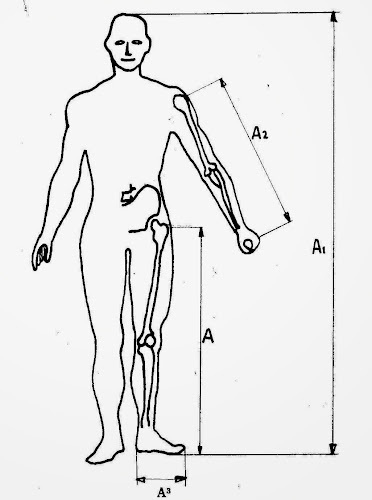 Take anatomical measurements: Inside leg, A = 83.5 cm; Height, A1 = 176 cm; Arm length, A2 = 63 cm; Foot length = 26 cm, as shown in the image above. 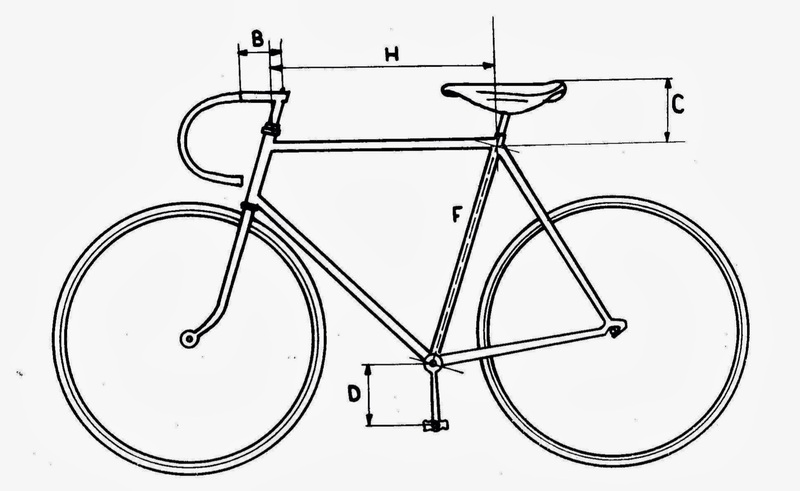 Calculate ST length using the formula F = A - (C + D), where C is the saddle extension and D is the crank length. Using the relevant values from the table in th manual this computed to a ST length of F = 83.5 - (14.5 + 17.5) = 52 cm. Calculate the TT length using the formula H = F +\-G, where G is a factor to be added or subtracted depending on the size of the frame. Hence, H = 52 + 1.5 = 53.5 cm. This ensures that the ST and TT lengths are within proportional limits for the frame. The advice is to then adjust the effective TT length for large or small riders by adjusting the length of the stem (B) and saddle position to obtain the correct reach. Choose a ST angle to suit the type of riding and rider physiology - I am larger in the upper body than the pelvis so decided on a shallower ST angle of 72 deg to bring my centre of gravity back a bit. Choose a BB height to suit the type of riding - I wish to use the bike for audax/touring so chose a BB heigth of 26.5 cm which is at the lower end of the limit (26 to 30 cm) because a great deal of clearance will not be required. Choose a HT angle to suit the type of riding. I chose a compromise of 73 deg because I want the bike to have responsove steering but also to be comfortable. Fork rake, trail and tyre size will also play an important part in this, but more of that later. 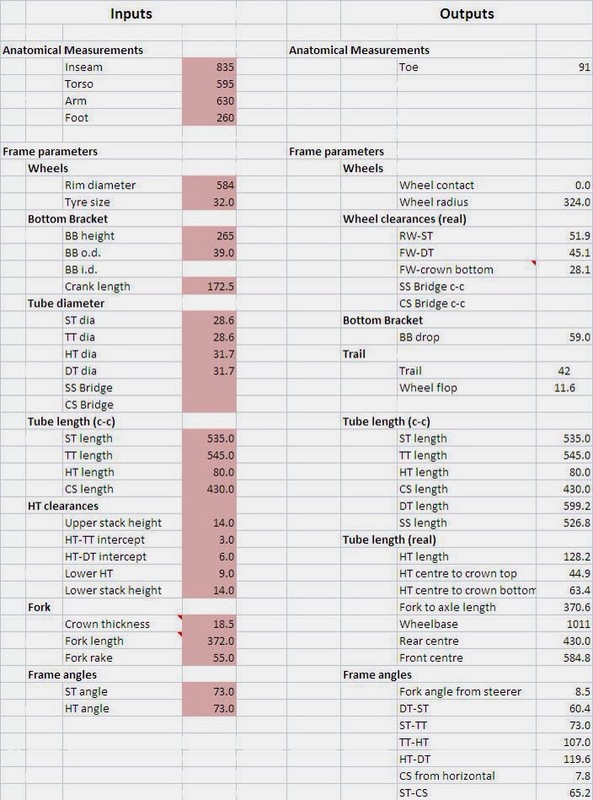 Having done all this, for comparison, I then measured the bike which I currently use for touring, a Specialized Tricross, and got the following measurements (taking into account sloping TT to obtain the effective horizontal TT length): ST = 53.5; TT = 53.5; BB height = 26.6; Stem length = 9.7; ST angle = 73.5 deg; HT angle ~73 deg. I have used the Tricross for a number of years and understand pretty well how my body feels on it. First, the ST length is longer, but this is not that important because it is well within the range of saddle height adjustment. Second, the TT length is exactly the same, but I find that my body feels too far forward with too much of my weight on my arms, so the intention to reduce the ST angle from 73.5 to 72 deg would seem sensible, with the option of changing the stem length and moving the saddle to adjust for reach. Bearing in mind that the Tricross is a cross bike and not really desogned for touring, these conclusions seem to make sense, to me at least. In the next post I will describe the full design using my 'homemade' spreadsheet. C.O.N.I. (1972). Cycling, Central Sports School - F.I.A.C., Rome. I have mentioned the importance of front-end frame geometry, but the rear of the bike is equally critical if a comfortable ride is to be had over a long distance. Key factors are seat tube (ST) angle and chain stay (CS) length. The ST angle affects position fore and aft on the bike. A ST angle of 73 degrees is a typical compromise, however, some account must be taken of the purpose of the bike. When riding long distances top-heavy riders might require a shallower angle to bring their weight back off the handlebars, whereas bottom-heavy riders might require a slightly steeper angle for the opposite reason. Racing bikes, where comfort over long distances is less of a premium, will generally have a steeper angle which results in a more forward position for power sprinting. However, everything is a compromise, so the ideal ST angle will depend on rider physiology and the main type of riding that will be encountered. Longer chain stays give a 'springier' ride and give more clearance between the ST and wheel, allowing mudguards to be fitted, so this geometry is advantageous on touring bikes. Racing bikes have short chainsays because mudguards are not required and the more compact geometry improves handling and maximises power transmission to the rear wheel. If you want to fit mudguards then there must be enough clearance between the rear wheel and the ST and the front wheel and fork crown, so the CS length and fork length must be adjusted accordingly, at the same time taking account of wheel and tyre size. For a comprehensive treatment of this topic I recommend the late Sheldon Brown (Brown, 2013). Brown, S. (2013). 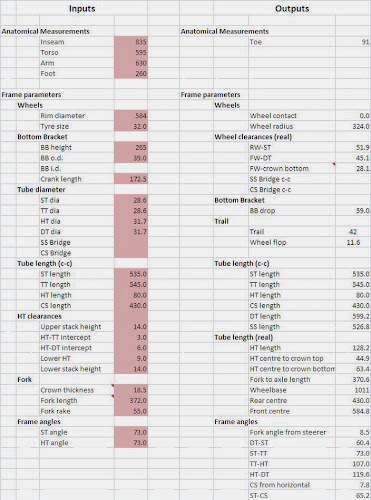 Tyre Sizing Systems. Available at http://sheldonbrown.com/tire-sizing.html [Accessed 22/092013]. the wind blowing in across the margins of the land. 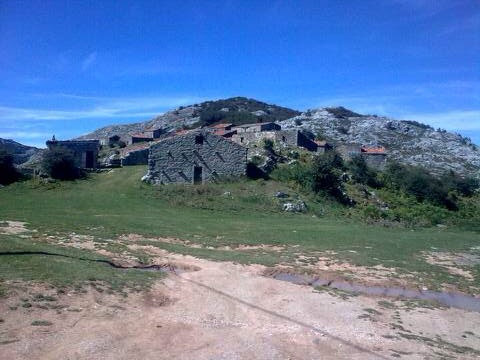 This was a real encounter I had after cycling to the top of a mountain in the Picos in   northern Spain; there was an old woman knitting socks in this isolated spot, and I regret to this day that I didn't buy them from her when she tried to sell them to me. gives it away you see. and Mam calls . . . When you set out to buy a bike you usually have some idea of the type you want; is it to be a mountain bike, a dropped handlebar racer or a folding bike for a commute. Sometimes this is all you need to know and apply these simple criteria at the shop. It gets trickier when you've been riding for a while and want a bike for a specific purpose, be it racing, randonneuring, cyclocross or extended tours; and this is where the subtleties of frame geometry come in. The bicycle is an intrinsically simple yet brilliant design made of a frame, fork, two wheels, saddle, handlebars and drivetrain (pedals, cranks, chain and rings). How these parts are put together will affect the utility and handling of the bike, to the extent that getting it wrong will make for an unpleasant ride at best and dangerous at worse. 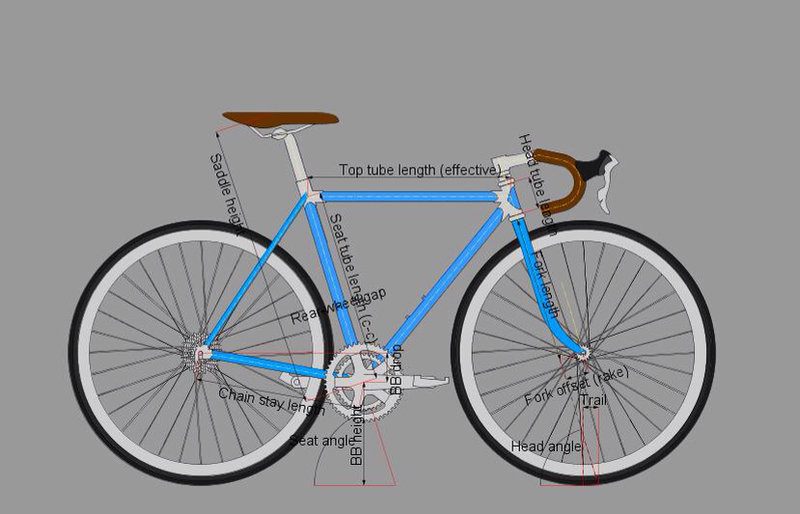 The diagram above, rendered using BikeCad (BikeCad, 2013) shows the basic parameters of bike geometry. BB height can vary between 24 to 31 cm, depending on what the bike is to be used for. Cyclocross and mountain bikes will require a high BB to give plenty of clearance, while a touring bike will require a low BB to give a low centre of gravity and a more stable ride. 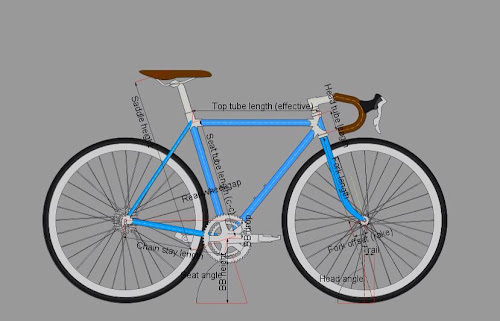 Hence, the starting point of bike geometry is often to choose the BB height, however, it is worth noting that this has consequences for subsequent angles and dimensions when building a lugged frame. trail is the distance between the contact point of the wheel with the ground, directly below the fork dropouts, and the point on the ground projected in a straight line through the axis of the HT. The HT angle and fork rake affect the steering characteristics of the bike because, between them, they determine the amount of trail. In order to grasp the concept of trail, first consider a bike with a perfectly straight fork in (one which has no rake). If the HT was perpendicular to the ground (a HT angle of 90 degrees) the point of contact of the wheel with the ground would be directly under the steering axis and there would be no trail. However, the HT is usually angled between 72 to 75 degrees so, in the scenario with our straight fork, as the HT angle decreases the contact point of the wheel directly below the dropouts falls behind the steering axis (the contact point projected through the HT) - this is the trail. So, as the HT angle decreases trail increases. The purpose of fork rake is to move the contact point of the wheel below the dropouts back towards the steering axis by curving the forks forward slightly, therby reducing the trail. Racing bikes tend to have steep (larger) HT angles and low trail because this makes the steering sharper and more responsive, but can also make the ride somewhat unforgiving because there is less flex in the more steeply angled fork. Touring bikes tend to have shallower HT angles and more trail because they are used at lower speeds and the steering does not need to be as responsive, and this results in a less harsh ride. Raking the fork reduces the trail, so the handling is actually influenced by both HT angle and rake. All that said, a HT angle of 73 degrees is a good compromise for the beginner in framebuilding using commercially available forks, and when there are no complicating factors with regard to large tyres and loaded panniers. BikeCad (2013). Available at www.bikecad.ca [accessed 07/092013]. Heine, J., Vande Kamp, M., and Wetmore, A., (2005). Bicycle Quarterly, 5(3), 42-47. My 50th birthday was looming. As any keen cyclist will immediately identify, this presents the perfect opportunity for purchasing another, fantastically expensive bike, under cover of a significant lifetime milestone. I wanted something special and bespoke, so started thinking abut a custom frame and my own choice of components; but then it struck me, I had already built up one bike from scratch so the next logical step was to go the whole hog and make the frame myself. So started the process where, by the end, I hoped to be the proud owner of my own hand-made bicycle . 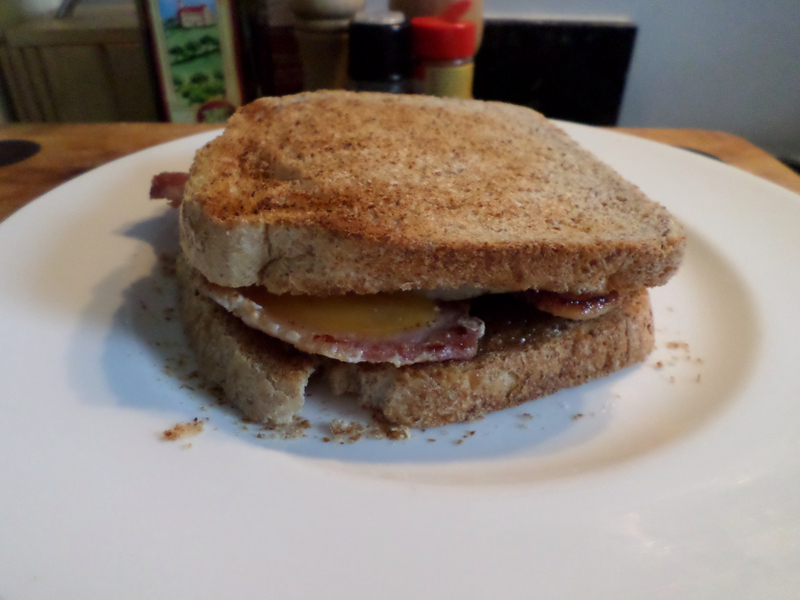 . . made by me! 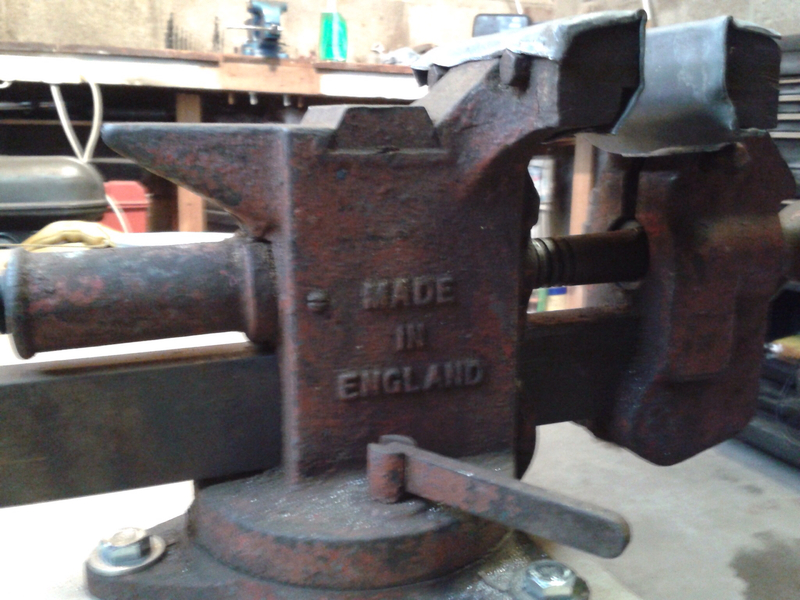 The first step was to do some research into hand-made frames. Not so long ago practically every town in England had its own bicycle framebuilder; then, with the advent of mass-produced frames made in the far east, the practice all but died out by the turn of the 21st century, except for a handful of well-known makers. However, in the last ten years there has been a resurgence in hand-built bicycles in the UK (Souter and Feather, 2012; Bespoked 2013) ironically led by an upsurge of interest in the USA, where many of the builders originally apprenticed in England and who then took the skills home - so we are now learning from them. The upside of this is that there is a a great deal of information to be found on the internet, and some builders now offer framebuilding courses where you can spend a week building your own steel frame. First, I checked out some framebuilding courses. These offer several advantages: an expert shows you what to do; the design of the frame geometry and sourcing of raw materials is taken care of; you benefit from using a well equipped workshop and frame jig for alignment; and you should end up with an acceptable frame at the end. I nearly signed up for one, but on reflection it seemed a bit like cheating . . . plus they are pretty expensive. So I looked into it a bit further and discovered that it might be possible to build a steel frame without resort to expensive equipment. I owned a shed, how difficult could it be . . . This records my journey on the way to building my own steel, lugged bicycle frame, from gound zero. I do not claim to be an expert; this is just what I have discovered by my own research so I have tried to present it in as factual a way as possible, referenced to the original sources. At the time of writing I have still not built my frame, but hopefully I can keep one step ahead of this blog! 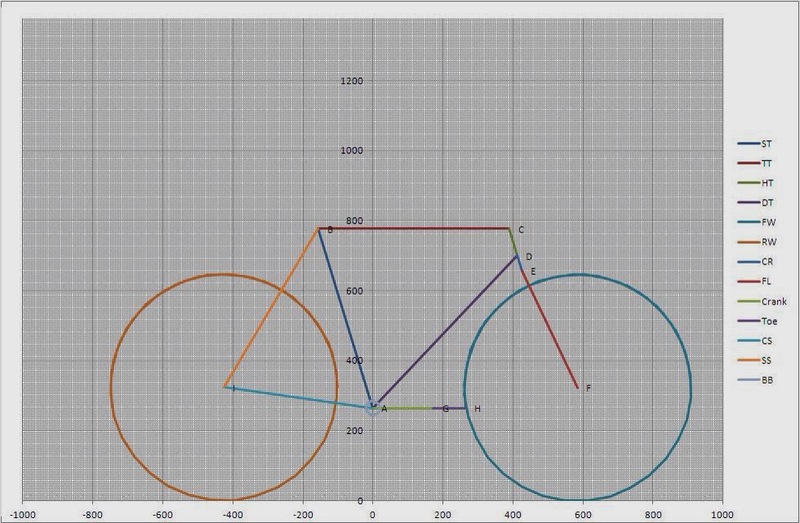 Frame geometry - choosing the correct geometry for the purpose to which the bike will be put. Frame fit - matching the frame size to your body measurements. Sourcing components - tubesets, lugs and braze-ons are available only from selected outlets, and some tubesets are more difficult to obtain than others. Design - preparing the design drawing for the frame. Preparing the tubes - cutting the tubes to the correct length, mitering the ends, ensuring a good fit in the lugs. Alignment - ensuring that the subassemblies that constitute the frame are aligned correctly; this must be checked at various stages throughout the process. Brazing - joining the tubes together by capillary brazing them into the lugs; there is more than one way of doing this. Finishing - inevitably, inexperience results in a frame which requires a considerable amount of sanding and filing to cleanup the brazed joints. Painting - you can do this yourself but the most durable finish will be achieved by a professional paint job. There are many resources, in books and on the web, which provide 95 % of the information which you will need. In particular, there are several books which are essential. The Paterek Manual (Paterek, 1985; Paterek, 2004) is widely regarded as the most comprehensive resource, and the author has made the 1st Edition freely available on his website (www.timpaterek.com). The latest edition is obviously more up-to-date and there are also several DVDs on technique by the same author, though beginning framebuildes may find the level of detail in the book off-putting. Other freely available books include those by Talbot (Talbot, 1984) and Proteus (1975); these are quite dated, but because most of the principles of building a lugged steel bicyle have not changed in the last 100 years they contain much useful and relevent information and have the merit of being much shorter. Perhaps the best resource I have come across for the beginner is the guide by Chimonas (2010), who describes a step-by-step approach which does not require expensive tooling or the use of jigs. Another excellent resource is the internet, where there are a number of web-forums specifically for framebuilding, and where expert framebuilders give their advice freely. Three of these which I have found useful are Velocipede Salon (Velocipede, 2013), Bike Forums (Bike Forums, 2013) and the Framebuilders Collective (Framebuilders, 2013). In practice I have decided to use the Chimonas book as a basic guide supplemented by specific techniques picked up from the other books and the various framebuilding forums. In Part 2, I will discuss what I have learned about frame geometry. Bespoked Bristol (2013), The UK Handmade Bicycle Show. Available at www.bespokedbristol.co.uk [accessed 29/08/2013]. Bike Forums (2013), Frame Builders Forum. Available at www.bikeforums.net/forumdisplay.php/229-Framebuilders [Accessed 29/08/2013]. Chimonas, M.R. (2010), Lugged Bicycle Frame Construction, Createspace, USA. Framebuilders Collective (2013). Available at http://www.framebuilderscollective.org/. [Accessed 29/08/2013]. 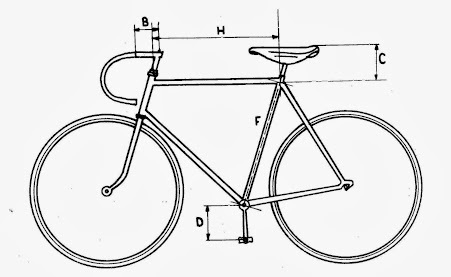 Paterek, T. (1985, 2004), The Paterek Manual for Bicycle Framebuilders, Framebuilders Guild, USA. Available at www.timpaterek.com [accessed 28/08/13]. Proteus, P. (1975), The Proteus Framebuilding Book, Proteus Design Inc., USA. Souter, M. And Feather, R. (2012), Made in England: the Artisans behind the handbuilt Bicycle, Push Projects, Lewes, UK. Talbot, R.P. (1984), Designing and Building your own Frameset, The Manet Guild, USA. Velocipede Salon (2013), VSalon Frame Forum. Available at http://www.velocipedesalon.com/forum/f10/ [ accessed 29/08/2013]. It is a well known fact that the optimal number of bikes you should own (x) is given by the formuls x = n + 1, where n is the number of bikes you currently own. The logical outcome of this is that evenually a critical point is reached when you simply run out of space to store them. 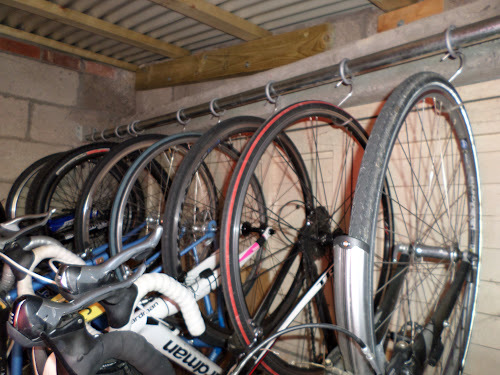 Over the years I have tried numerous storage strategies, from the old standby of leaning them against the wall in the hallway to fashioning a version of one of those racks beloved of sportive events where you suspend the bike from a horizontal pole by the saddle. 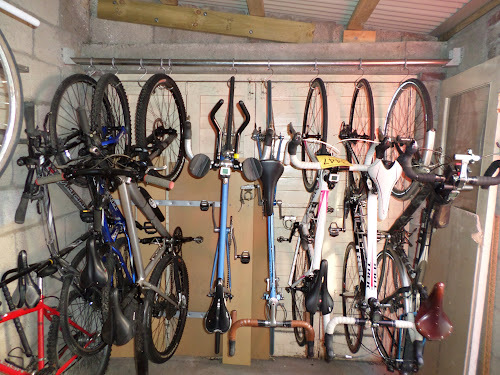 In between I have scoured the internet for the ideal 'bike storage solution' but have invariably stalled in the face of eye-watering cost for things which are, frankly, not that well designed. The best solution which I have found I stumbled across on the lfgss forum. I am sure that it is a method widely practised by numerous cycling emporiums and people 'in the know' but I must confess to not having come across it before other than as a related form in trains, and certainly not as a commercial product. Simply, it involves suspending your bike by it's wheel from a hook (with a short piece of rubber tubing over the metal to protect the wheel), which is in turn suspended from a metal ring on a piece of scaffold pole, mich like curtains on a cutain rail. The scaffold pole is suspended from two metal joist hangers screwed to opposite walls of the shed. This method is the most space effective that I have come across, so that I can fit up to nine bikes in a floorspace of 2.5 x 1.3 m.
1. It could turn out to be a nice flat scenic alternative to our nice flat scenic regular route. Initially it proved complex to get out of Morlaix, requiring that we first climb the big hill to the gare, and then the disappearance of the cycle route signs which necessitated a period of guessing until they appeared again. Not to be deterred we soldiered on, tacking back and forth across our required direction, sometimes going completely the opposite way, over a motorway footbridge, and eventually a relatively smooth but hilly route alongside an estuary. This terminated when the route took us through what was effectively a ploughed field, then over a beach, someone's back garden . . . you get the idea. Eventually we emerged on our regular route amongst the artichoke fields just outside St Pol de Leon, whereafter the cycling signs were firmly ignored. I leave it to you, the reader, to decide which of the two above outcomes I have decided upon. 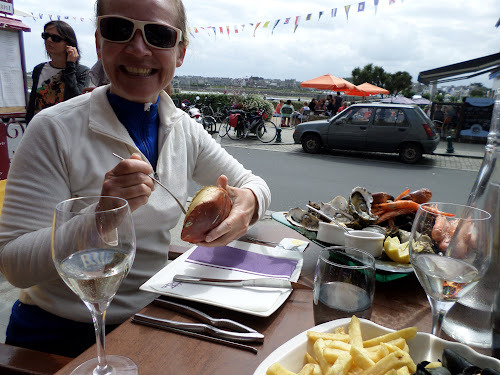 So, arriving in Roscoff somewhat later than originally planned we made straight for the harbourside restaurant where S got her plateau de fruits der mer and I my moules et frites, and where we could while away most of the aftenoon before departing for the ferry. Having visited Huelgoat several times, I have never properly explored the forest walks and attendant attractions. Yesterday we visited the champignon and roche tremblant, so today we set off from the campsite to investigate the other 'novelty boulders'. 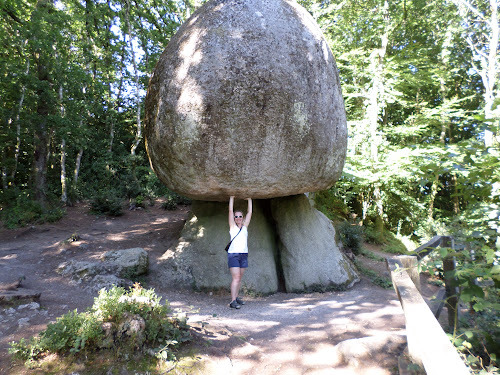 There are a number of such scattered along a forest walk, such as the Le Gouffre and Grotte d'Artus. Let us first examine Le Gouffre: on previous occasions I have glimpsed this subterranean waterfall briefly but held off from a full exploration because of the presence on my feet of cycling shoes which do not make the best footwear for scrambling down wet granite. So imagine our surprise when we arrive to see a man lowering his 8-year old daughter over the edge of the railing and then watching as she rappelled down into the raging torrent; then, after lengthy instructions to his offspring below which probably went something like 'make sure you don't release the safety line from the carabiner . . . ' (which my kids would have done in a instant), over went Monsieur X accompanied by his 6-year old son . . . 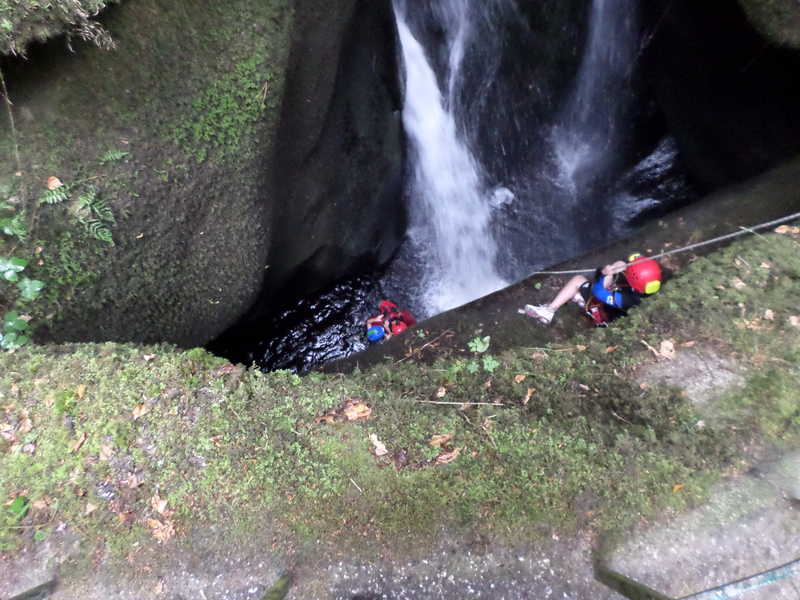 I can only imagine that they must have been related because I could not conceive of a risk assessment sufficient for the purpose of an organised activity. 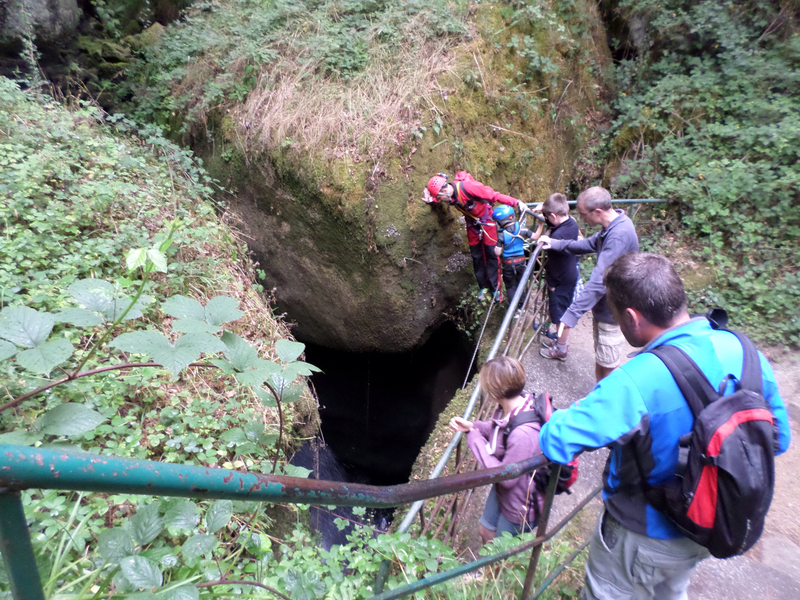 After exploring the upper reaches we returned to find them still making their way through the subterranean passage. 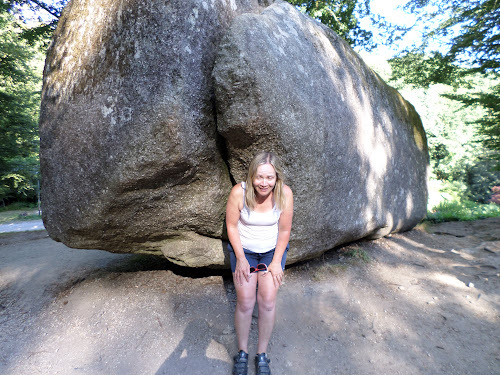 Various other rocks awaited our inspection, including the Grotte d'Artemus, Grotte Diable, and the jumble of enormous granite boulders forming the Chaos, including a giant granite cleavage which I became jammed between, though S maintains that it is another part of the anatomy . . . 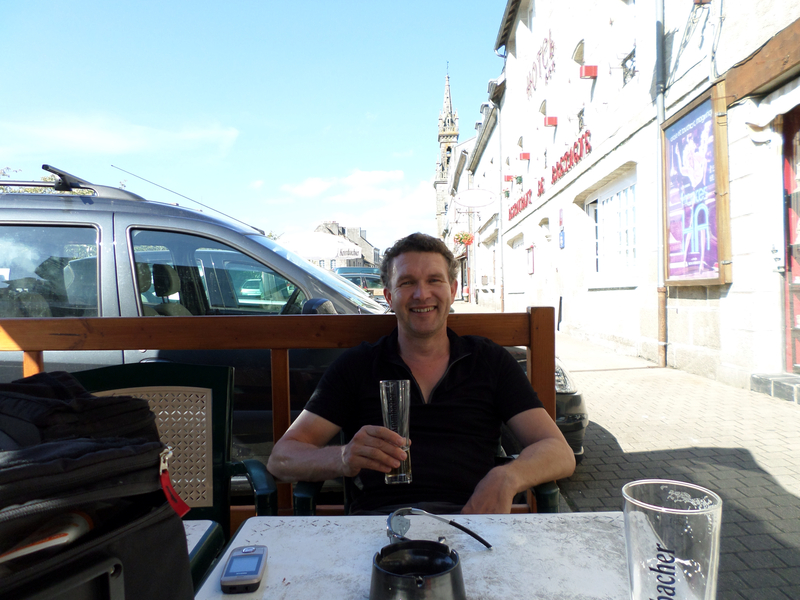 Eventually we emerged into the town centre where, not to spurn tradition, we had lunch in Le Brittany Pub. Immediately after this it started to rain in true Huelgoat fashion and continued to do so as we walked back to the campsite, where it then promptly started to rain even harder; but it is 'warm rain' I cajoled S . . .
After surviving the downpour the sun actually came out. 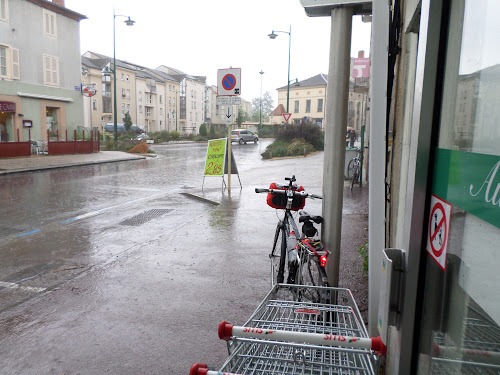 We could have been worse off, two English girls arrived by bike while it was hosing it down and then a French couple a bit older than us who pitched next door for the night. Despite being the first to rise we were the last to leave, '. . . because we had two cups of tea', according to S - well, you can't do anything without first having a cuppa. Once more onto the voie verte for the 25 km or so to Morlaix where we now reside at the Hotel du Port. It is market day today so S will be browsing the tat later on . . .
Later . . . we return from town with our purchases. 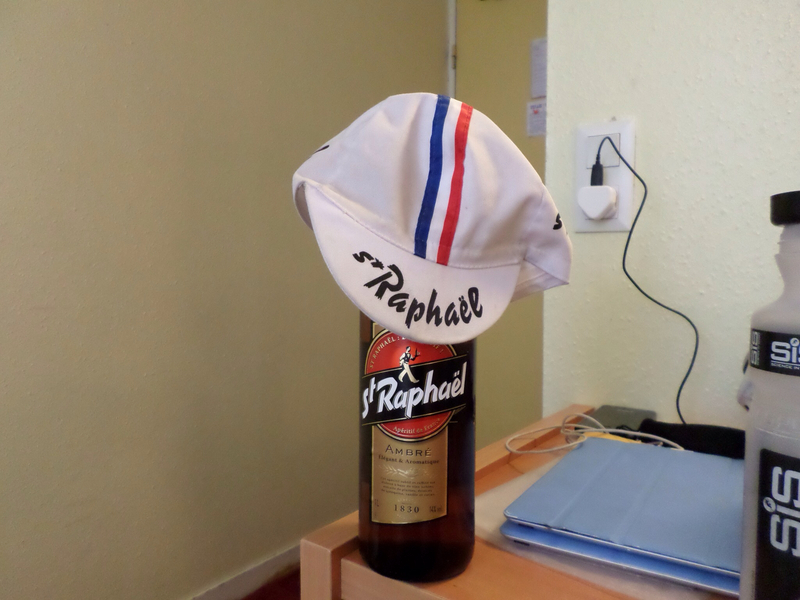 Pretty good really, one half bottle of Sauternes (S) and a bottle of St Raphaël (H) to go with the cap . . .
One amusing discovery did come to light however, which requires a certain amount of back-story . . . In my planning phase for the trip I was exercised by the task of how to store essential condiments and spices in portable quantities for Le camping. Being a skinflint I didn't want to fork out top dollar for a bespoke 'multi spice and condiment set' from the camping emporium because I viewed these as, essentially, just small bottles. The solution . . . 50 mL polypropylene centrifuge tubes from the lab, the ones with the blue screw-on top. 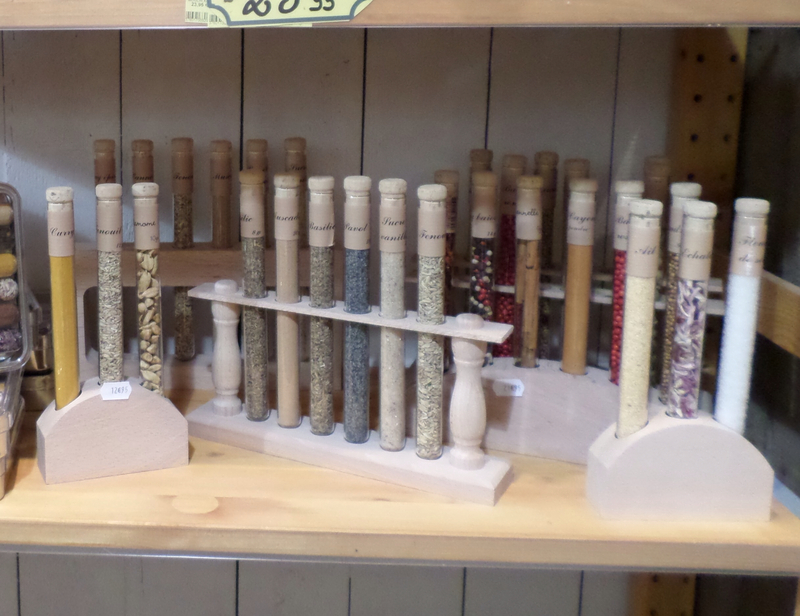 As a result I received much merry banter from S regarding my 'test tubes' and 'specimen bottles', but after a chance visit to a vendor of tourist tat in Morlaix I stand vindicated because, what do we see in front of our very eyes but Les Tubes á Epices . 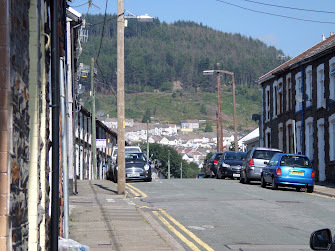 . .
Ca va . . .
Today we set off for Huelgoat, much loved stamping ground of the SBCC. Luckily, Pete and Keith informed us that today was a public holiday in France, Assumption Day, and everything would be ferme, so we made sure that we had supplies for the evening meal and we were furnished with a packed lunch for the journey. After a mostly downhill run to Rostrenen on the canal we joined the voie verte, which is an off road cycle track on a disused railway line, which would take us all the way to Huelgoat. This is ideal when hauling camping gear because it does away with all the hills. 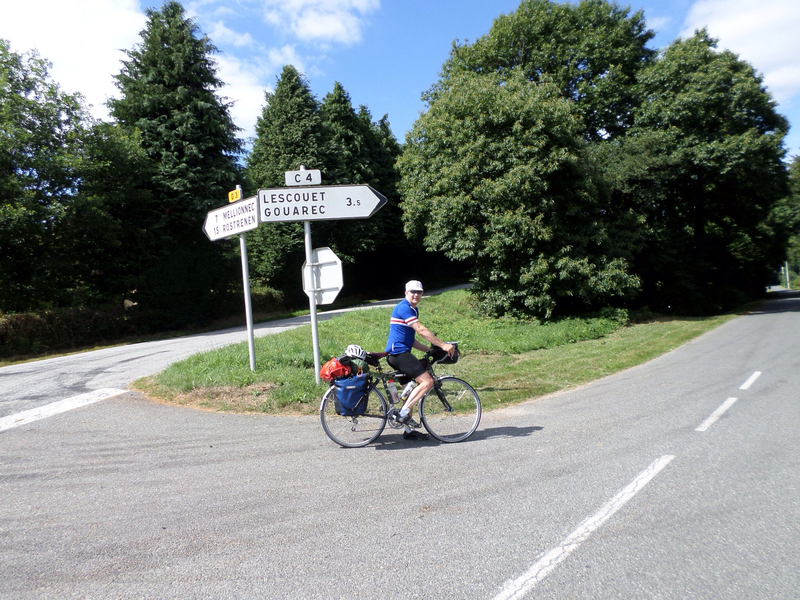 En route, I got talking to a young man who was cycling along with a group of friends, doing a round trip circuit of Brittany on the voie verte from St Malo and back. 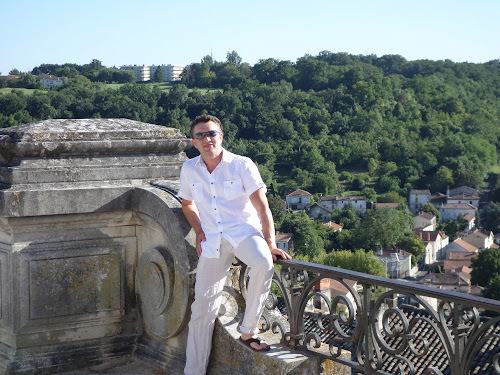 He was living in Paris but was originally from Rennes, and had spent a year at Exeter University doing European Studies and History which he counted as the best time of his life - any time when you are a student is the best time I commented to general agreement. 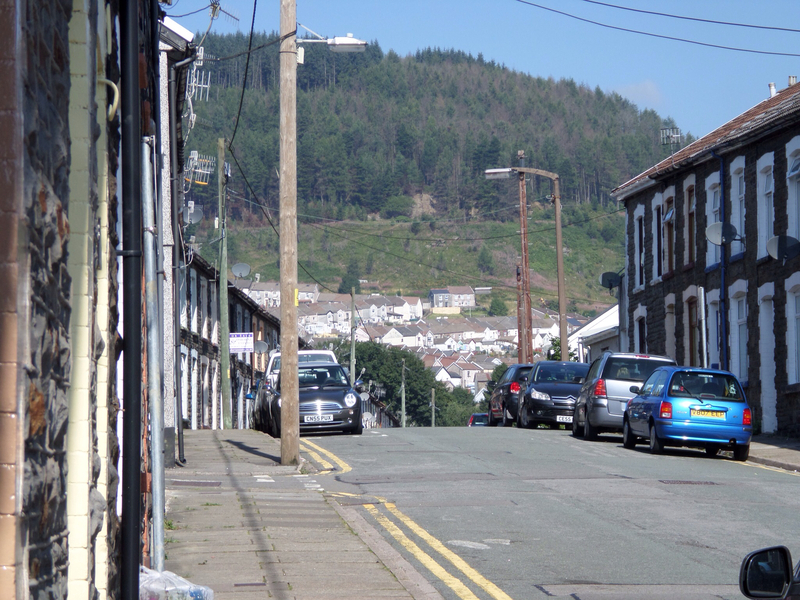 It was great to see a group of young people cycling around in the sunshine from place to place without a care and a map scribbled on the back of an envelope. When they broke off to go in a different direction they all stood by the side of the road and clapped myself and S on our way in Le Tour style - we were wearing our patriotic colours! I have shown S the sights of Huelgoat: the champignon and the roche tremblant. 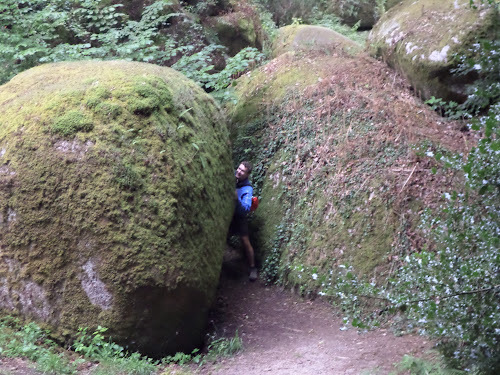 I will have you know, witnessed by S, that I made the rock move . . . below you can see a series of pictures respectively of me offering coaching advice to S regarding rock rocking (so to speak) but she had no success despite all the training over the last few weeks - clearly a more stringent regime is in order. Departure on day 19 from Lorient towards Lescouet-Gouarec for two nights at the Ancien Presbytere, where we have stayed on two previous occasions. It is a chambre d'hôte in a renovated vicarage owned by Peter and Keith who moved out from England a number of years back; it is a fabulous place run by two really nice people, so that is why we keep going back! To start the journey I gave S a bit of a change by taking her up the dual carriageway towards Plouay to impress upon her the fact that I do not plot routes up and down gruesome hills on back roads to inflict maximum pain on her legs, but rather to spare her near death experience of four-axled, articulated lorries thundering past within an inch of her panniers. As usual, on arrival, we were plied with tea and cake, and we also elected to have dinner with our hosts and two other guests, Phillipe and Patricia from Nantes, who were touring on a BMW motorbike. I tried out my best French but largely defaulted to their much better English. 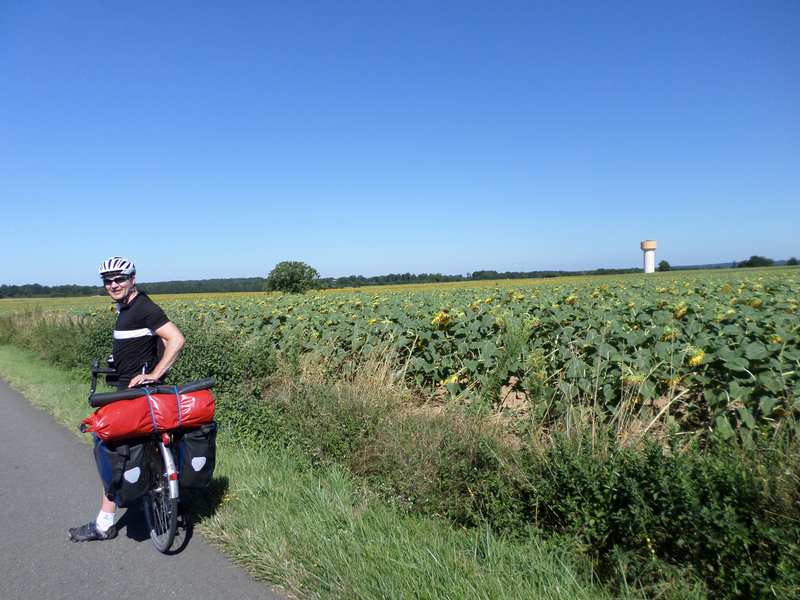 Today we cycled down to the Nantes-Brest canal. The sun was shining and the canal path was the busiest I have ever seen it. 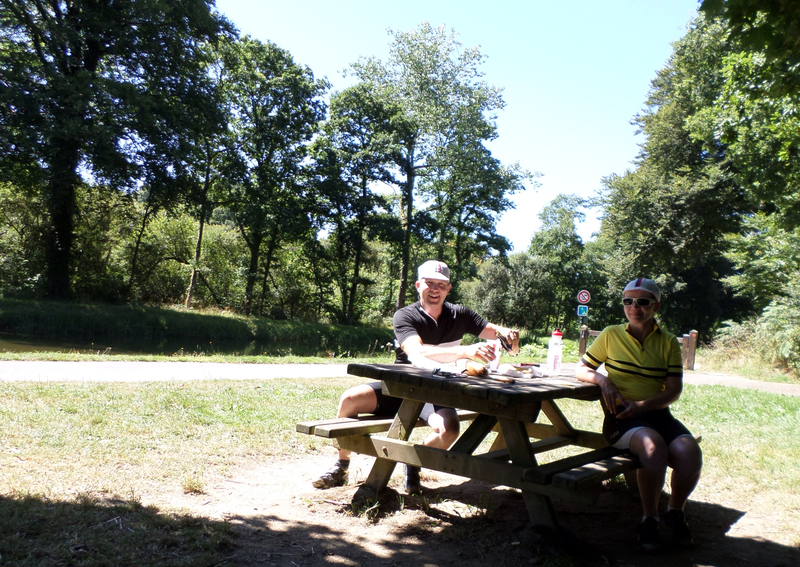 A stop at the boulangerie in Rostrenen furnished us with a lunch of baguette, quiche and tarte au pommes which we enjoyed canal-side in the sunshine - it doesn't get much better than that. The more astute of you will have noticed that S has been wearing a pair of white sunglasses in preference to the normal £3.99 Lidl efforts. The sunglasses in question are in fact €15 LeClerc efforts, but that is not the point. I think that she looks suspiciously like Mark Cavendish in these shades, and today she surprised me by launching a sneaky attack of my back wheel as we approached the signpost to Glomel; I beat her hands down of course but clearly will have to watch her in future . . . 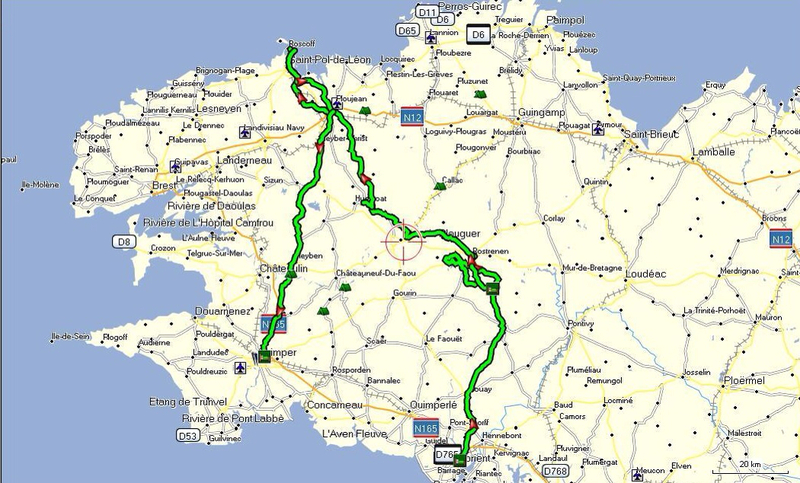 Tomorrow we are off to Huelgoat where, now that S has been pampered for two whole days, I have booked two nights camping. We shall see if she can move the rocking stone after all the leg training . 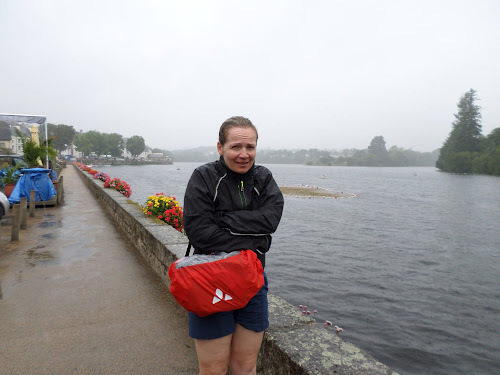 . .
After a pleasant stay in sunny southern France, today we return to Brittany; who knows what the weather will hold for us there? Our return strategy consists of the TGV from Angouléme to Bordeaux, then Intercities train from Bordeaux to Lorient. The first leg is straightforward because bike reservations are compulsory on TGV trains, so you have a guaranteed place. On the Intercities there are bike spaces on a first come first served basis, so an unholy scrum will not doubt ensue and I will have to send S into battle with her foot in the door - we shall see. As suspected, the situation at Bordeaux was less smooth. 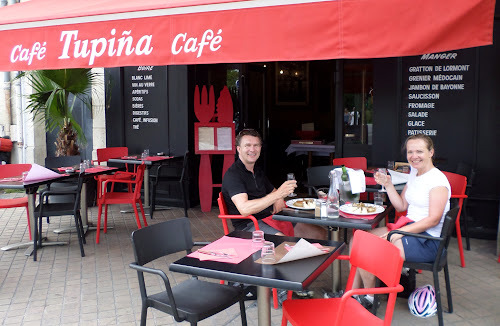 We arrived and disembarked smoothly enough, then made our way to La Tupina for le dejeuner - OK, I lied, went to Café Tupina, the downmarket version around the corner, once again, not wanting to mark the polished teak floor with our cleats. A sumptuous four-course lunch was had, the last course being a large portion of something similar to Breton Far flan. Those of you in the know will immediately recognise that we now no longer have to eat for a week because the aforementioned flan is a superheavy element which, when purchased at a patisserie in Brittany, is provided in a lead-lined box. 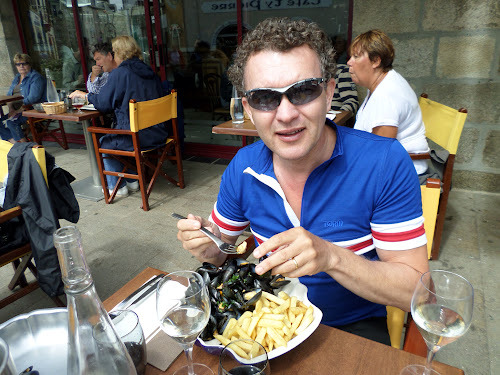 So, having lingered slightly too long in an effort to digest the meal, and imbibed slightly too much, we hastily pushed our bikes back to la gare. Sure enough: the platform had steps up to it (first challenge); there were more people with bikes than bike spaces on the train (second challenge), but I adopted my usual ploy of stuffing them on to the first available carriage without regard to seating reservations; confusion about which carriage the seat reservations were in - probably my fault but this led right in to the third challenge . . . Throughout this conversation, all around us folks are busily loading bikes, enormous rucksacks, IKEA flatpack furniture, portable nuclear reactors, etc. onto the train like a scene out of Ghandi . . . Eventually SNCF gives up in frustration and I direct S to chuck the stuff on the train tout suite before he comes back. This done I then evict two nice young ladies from our seats based on my firm belief in gender equality and the prospect of a 6 hour train journey. Shortly thereafter, I see SNCF moving down the carriage in our direction, so I fain sleep. But I needn't have worried because his official ire has been redirected to the 27 bikes squashed into a place for 2 at the end of the carriage. At the next station there is a delay while some disembarkation (forced or otherwise I will never know) takes place; during this whole episode I fain sleep (S has already managed to fall into a deep slumber moments after sitting down). The merits of the Dessert at lunch soon become apparent because the train does not have a buffet car - people are starving, small children are crying and having their sweets stolen, but we have our bidons and some choccy bicuits in the back pocket. Eventually we arrive at Lorient at 9.30 pm and are currently ensconced in the Ibis Gare which seems like a 5-star hotel, except that our clothes are soaking in the sink. The last few days have been characterised by problems with technology and biological functions. To start with, my phone decided to stop 'roaming', thereby preventing me from not only uploading to the internet but also . . . well, using it as a phone. Calls to Virgin at £10,0000,0000 per millisecond have not resolved the issue as yet, and I shall look forward to chatting with Branstons [sic] minions to demand a refund for same, plus unused internet pass on my return if the situation remains unchanged. Yesterday I came down with a touch of Delhi tummy which I put down to a dodgy moule prepared by S, though she tries to blame the duck paté - the remains of which were fed to the gîte cat as we departed today, but we are no longer there to see if it proved fatal. At any rate, under normal circumstances this would circumscribe one's holiday to a limited radius around 'facilities', so it is clear that the combination with cycling and camping is pure torture but I will not go into detail. We were on the road today, so I limited my nutrition to powerade, coca-cola and bits of bread. Ce soir I treated S to bangers, peas and mash, cooked up on the camp stove; I await developments. We are ensconced once more in the camping municipal in Chasseneuil as I write, but still without access to the aether, so who knows whether anyone will see this (or whether they do anyhow). It seems that I survived a night in the tent aprés the bangers and mash. Just to make a stern test I also washed it down with two beers and some red wine, without apparent ill effect, though I did manage to catch S's hair in the tent door zipper at 3 am in the morning on my way back from the facilities - 'the joys of a life under canvas' as I said later that morning at a more civilised hour. 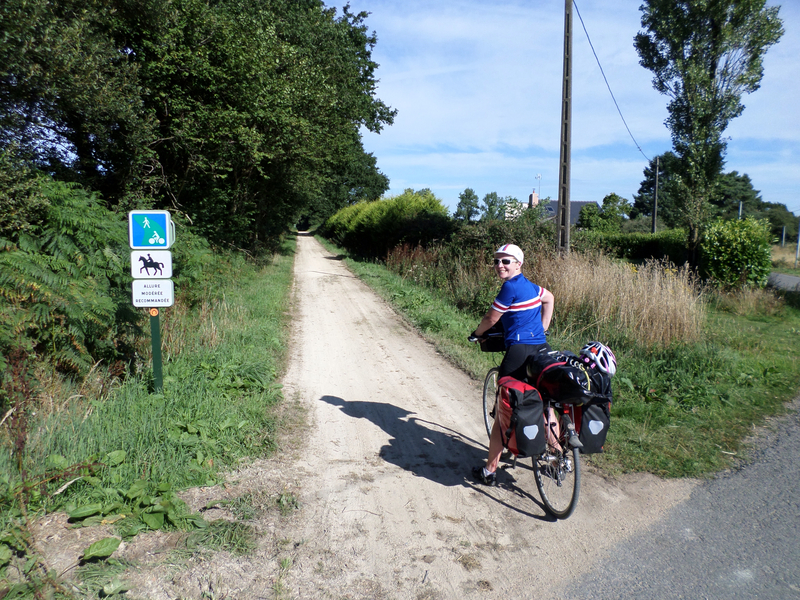 We broke camp as usual on a gloriously sunny morning and made for Angoulême, cycling through stereotypical French countryside. 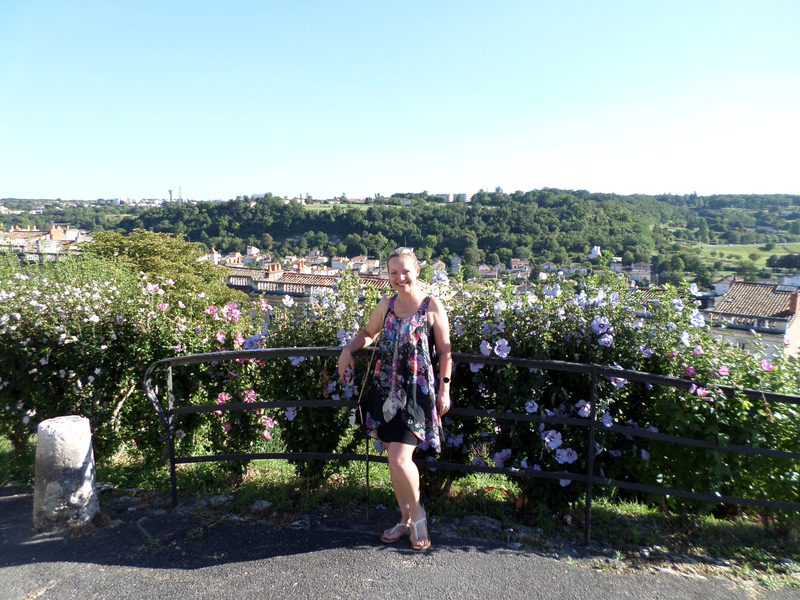 We arrived in good time so I took myself off to find our lovely chambre d'hôte situated right in the middle of the town (booked randomly over the internet just prior to it going t*** up) while I left S in the park to attend to matters domestique. Having roundly panned the delights of Limoges in a previous post, I can now report that Angoulême is well worth a visit, a bit like stepping back in time to an 18th century city on a hill, complete ramparts, cathedral and etc. It even offers floral arrangements to match your clothing, as modelled by S . . .
And opportunities for the 'Man at C& A' . . .
. . . and the guesthouse has WiFi, so here you are . . . The forecast was for light cloud and sunny intervals and mid-twenties centigrade, perfect cycling weather for a day trip to Limoges, site of a splendid gothic cathedral St Etienne where Richard the Lionheart was invested as Duke of Aquitaine in 1169. Well, it only rained a bit on the way out, nothing to trouble hardened Devonian randonneurs. 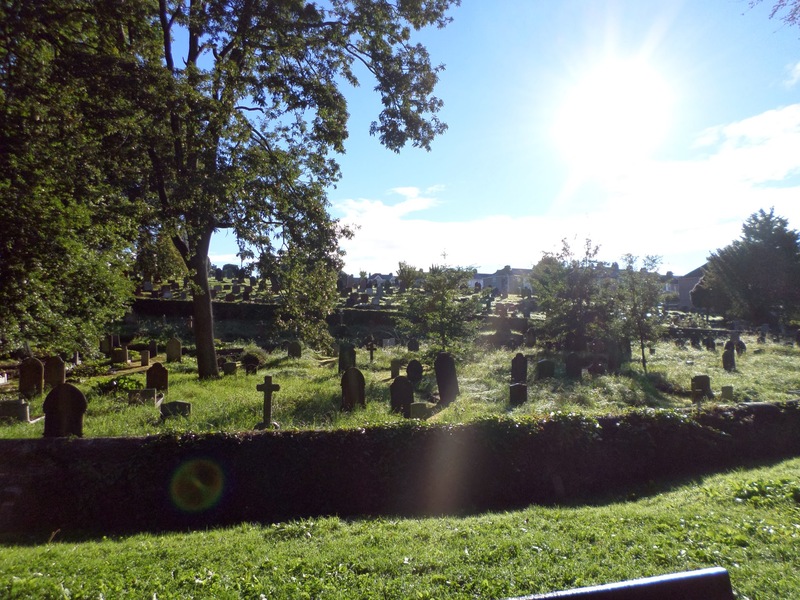 However, it transpired that Limoges is protected by the 21st century equivalent of curtain wall defences, a.k.a a motorway and various ring-roads. 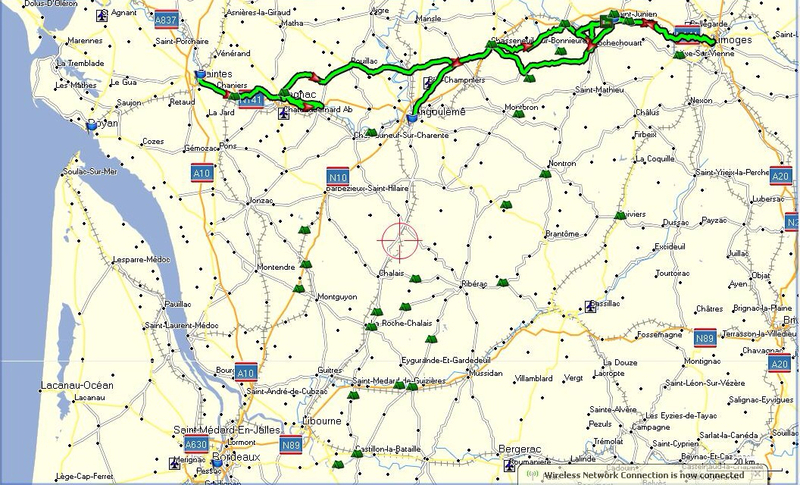 Travelling the 10 km from the outskirts to the centre took as long as the previous 30 km along the Vienne river. Luckily, we intersected a cycle path - actually some pictures of bikes with arrows painted on the road at 30 m intervals - which the municipal authorities had clearly deemed necessary in order to guide non-motorised traffic into the city centre. Eventually we got to the centre ville which, alas, turned out to be rather underwhelming. The expected medieval city centre around the cathedral turned out to be no larger than the Barbican in Plymouth, and the city planners had clearly had it in for the place judging by the blocks of concrete flats dotted around the old quarter and practically next door to the cathedral. Oh well, it's not the first and only place to have been so treated. . . 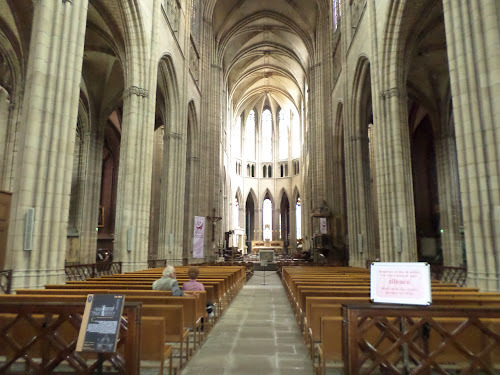 So we visited the cathedral: flying buttresses - tick; vaulted ceiling - tick; stained glass windows - tick; side chapels for the various saints - tick; a magnificent organ - tick . . . you may have guessed by now that it was similar to other cathedrals. I noted that the votive candles were €1 for a small and €2 for a large - I presume the large carried 'extra blessing' mixed in with the wax, otherwise Trading Standards should be informed . . .
On the plus side, we did have an excellent lunch of steak and chips. We returned along the same marked cycleway, all the time eyeing the evil storm-clouds gathering in the south, and congratulated ourselves on having reached the river then turning away from the evident downpour on the horizon - tweaking the weather's nose if you will. I should have known better because, just as we hit the outskirts of St Junien, the weather decided to divest it's nose of a barrel-full of snot . . . So, the scorching heat of the previous days has given way to a typical British Summer. However, these days, only top quality gloves are made for haute couture such as Gucci etc. because of the inevitable competition from child labour exploiting and tax evading brands such as *******. So clearly, a visit was required to sate S's appetite for luxury goods, as a counterweight for being forced to drag a tent and other accoutrements to southern France. 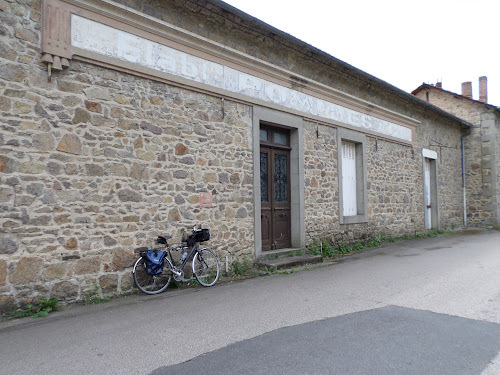 The nice lady in the tourist office provided a map and directions, so off we set off, via the inevitable café au lait, to the gant manufacturer in question, only to find that it was ferme août . . . as was the next . . . and the next . . . and in fact all of them. Clearly, the month of august is 'glove maker's month', much as it was 'miner's fortnight' when I was a lad and everyone decamped to Trecco Bay for a couple of weeks of CPA and and fish & chips. 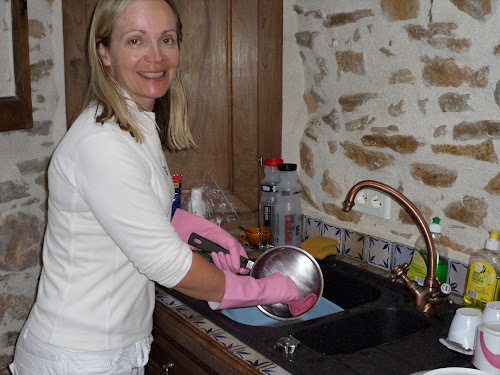 Not to be deterred by such minor inconveniences I took myself off to find an alternative source of hand-wear for S, which you can see here modelled ce soir aprés le diner . . .
aspirational lifestyle of the masses. Here is a picture of us after we have raided the alforjas . . .